An increase in summer enrollment at the University of Louisiana reflects the university’s efforts to provide additional courses, said Dr. DeWayne Bowie, UL Lafayette’s vice president for enrollment management and registrar. “ More and more, students are enrolling in summer school and intersessions so they can more quickly make progress in earning their degrees,” Bowie said. Total enrollment for the Summer 2010 semester is 5,142, an increase of 4.8 percent over last year’s total of 4,908. The largest increase was in undergraduate continuing students — those who also attended the university last semester. “ After the summer course schedule was published, the university invited all students enrolled in spring 2010 semester to complete a survey designed to better advise us about additional courses they would like to see offered during the summer 2010 session,” Bowie said. Seven-hundred forty-six students completed the survey. In response to students’ feedback, 12 courses, in a variety of areas, were added. The University of Louisiana at Lafayette is the second largest university in the state, with more than 16,000 students. It’s a public institution that awards bachelor’s, master’s and doctoral degrees. 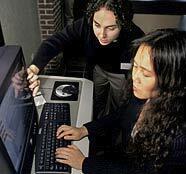 It includes diverse offerings from the humanities to scientific research and leads the nation in areas such as computer science, biology and nursing. Its student-athletes – Louisiana’s Ragin’ Cajuns – compete in NCAA Division I, the highest level of collegiate competition.